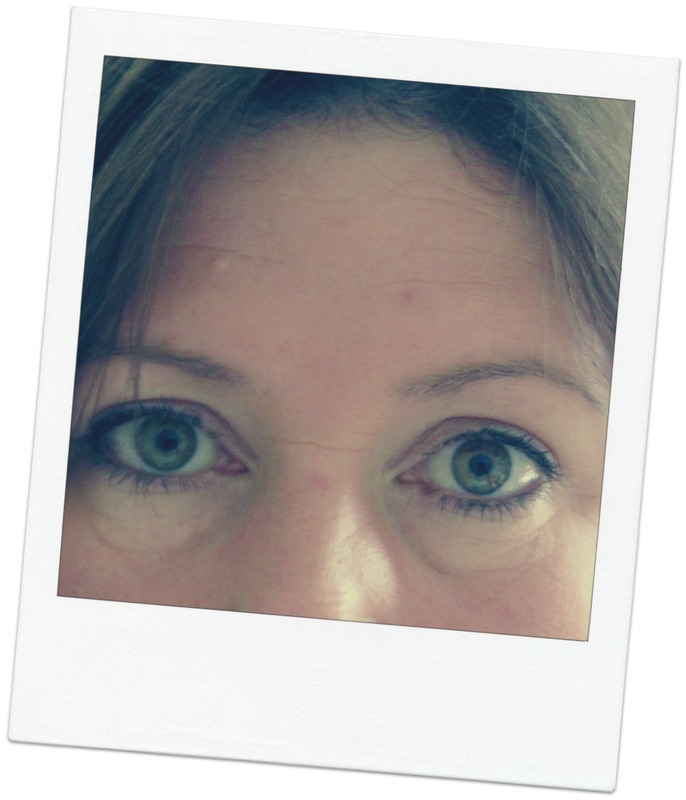 Edited to add - I have heard talk that haemorrhoid cream can help with lines under the eyes but daren't have a go in case I break out in huge weeping pustules! Have you ever tried it? I bought pile cream for this very reason and had to keep telling everyone in the chemist it was for the bags under my eyes. You know, make a point!! Then go and crochet...I insist. By the way, I'd choose the crocheting option out of the choices given! Have to say I searched and searched your pic to see what you were on about. You look gorj to me doll! Am I playing you in Draw free?! Have we hooked up! Wipe your screen babe - crinkles AND shadows!! Hi.....that's funny ....and just how I felt this morning too ....had a rough night ....u know brain doing overtime! Hadn't heard of that remedy before ...I usually use chilled used teabags they work well for me. I like the crocheting option best! I have a Garnier eye gel rollerball. The rollerball is metal so its freezing on the eye, i guess like teaspoons and it has a nice gel which treats the eye too. Might be worth a go. 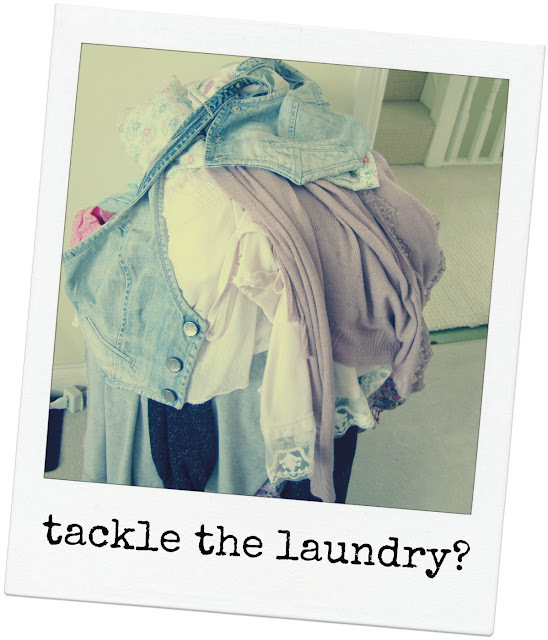 As for the laundry? How come, just as you spend a day emptying it and washing it all, you turn around and the bleedin' thing is all full again? Annoying! Hope whatever you decide to do is good! Never tried haemerrhoid cream but I do swear by the Garnier roll on - I look like a panda without it! You made me laugh out loud with the hemorrhoid cream suggestion, I think I would be much too scared to try, I recently put eye drops in my ear by mistake and was convinced that death or at least deafness would be just around the corner. What did you end up doing today? You even have pretty laundry! Is this what 40 brings Heather, bag eyes? Cold tea bags not pile cream! It's something to do with the shark oil that tightens the skin or something. Not good for long term use apparently...or short term use in my view!! too funny. defo crochet in bed! Now, I remember reading something about pile cream having a steroid in it which tightens the skin...but only temporarily and shouldn't be used for long as it will damage that delicate eye area! Someone recently told me that the ingredient isn't always in the cream so it might be a waste of time. Cleggy is obsessed with his bags (!) and swears by the garnier rollerball thingy (he's tried tons of products!). I've also heard they look worse if you're dehydrated so drink up! Incidently - I don't think they look bad at all!!! I don't think your eye's look bad at all, you have very pretty eyes infact! 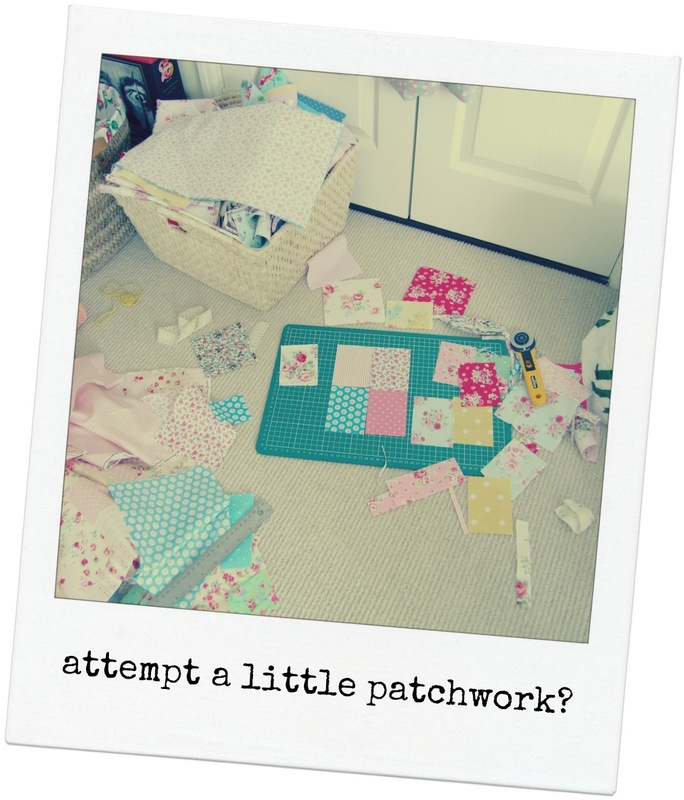 I'd pick trying out the patchwork... I've got so many patchwork projects on the go though and Never seem to get anything finished lately! I hope you had a lovely day anyway. Hope you spent the day crocheting in bed! Well, I think your pic is lovely Heather!....I have heard over the years that the haemorrhoid cream definitely works but it all sounds a bit intense..I can't imagine all that shrinkage is a good thing in the longterm! 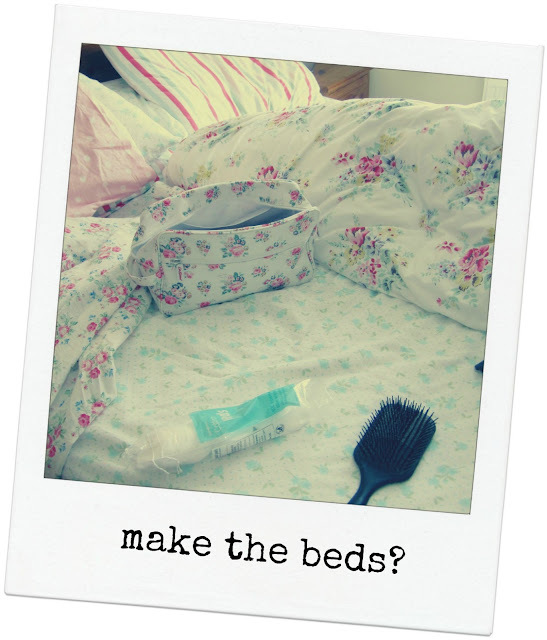 The Garnier roller gel thingies are great...really cool and soothing for tired eyes...I put mine in the fridge! I'm all for the light-reflecting-concealer-action. gem's tea-spoon idea sounds good too! 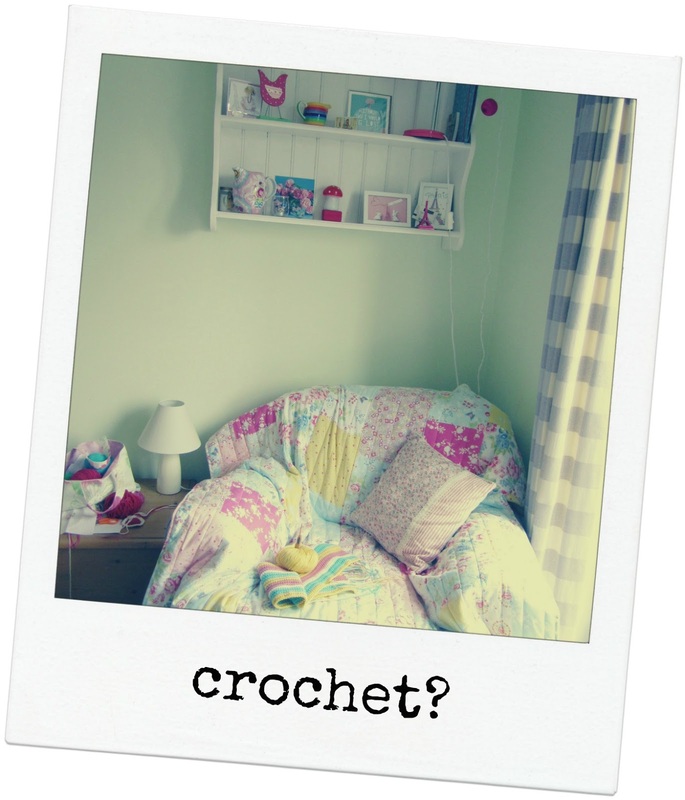 And like everyone else, it has to be CROCHET! well i think you should do a little crochet, a little patchwork and then a little nap! I must admit to having added a few more frown lines to my 50 something furrowed brow trying to work out what the problem was! When you are used to seeing a half century old face in the mirror daily, plus the hormones behaving badly and bringing the odd teenage zit again, you learn not to look too closely for too long and just get on with the day! And anything younger looks model good to me, including your lovely visage! Enjoy it whilst you've got it, forget it, then go crochet!! !